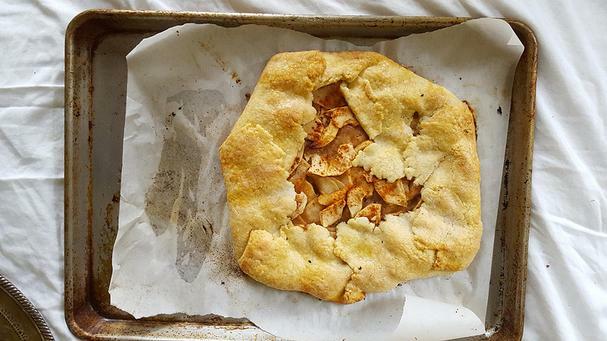 Fall fruits baked within a flaky pastry is a good thing any chilly night of the week. 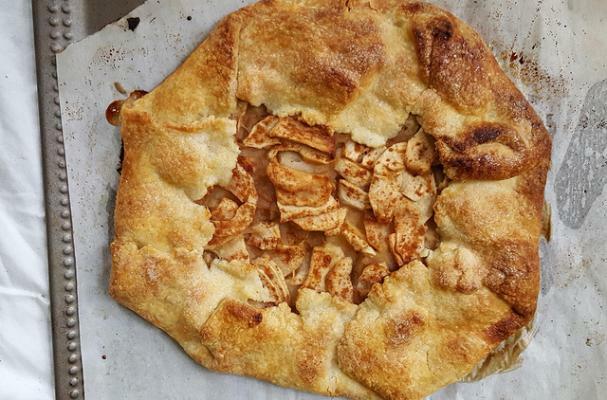 We sometimes make this crostata (a free-form rustic Italian tart) with just about any fruit, but in Fall we love the combination of apples and pears with a generous sprinkling of cinnamon and allspice. If you're a passionate baker, go right ahead and use your favorite pastry dough recipe. But if you don't want the hassle of measuring and rolling, simply opt for a good-quality store bought pie shell. A little slicing and a little dusting and in under an hour you will have a scrumptious dessert that is simply sensational! And super easy. Have an extra pie shell? Double the recipe and make two crostata! They're a great breakfast treat, too! On a lightly floured surface, gently press flat a slightly thawed pie shell, then transfer to a parchment lined baking sheet. Peel, core, and cut the apples and pears into thin wedges (about 1/4-inch thick). Gently toss with the orange zest. Cover the tart dough with the apples and pear leaving a 2-inch border. In a small bowl combine sugar, cinnamon, and allspice. Sprinkle evenly over the apples and pear, then gently fold the border over the fruit to enclose the dough, pleating it to make a circle. Beat together the egg and water or milk and brush over the crust. Sprinkle the remaining 1 teaspoon of sugar over the entire top of the crostata. Bake for 20 to 25 minutes, until the crust is golden and the fruit is tender. Serve warm or at room temperature.